Plush toys can be machine washed or hand washed. This differs for each product. Please refer to individual care instructions. Wipe clean with damp cloth and allow to dry. DO NOT BOIL. Filled with purified water. Check this product to ensure that it has no leaks or other damage before giving it to your baby. Clean by washing in warm, soapy water. Rinse thoroughly with clear water. DO NOT BOIL. Air dry. Do not put this product in the dishwasher. Do not put this product in the microwave. Refrigerate teether to help soothe baby’s sore gums. Cool only in a refrigerator. Do not place in the freezer compartment. Gyms can be machine washed or hand washed. This differs for each product. Please refer to individual care instructions. Wash in warm soapy water. Rinse thoroughly with clear water. DO NOT BOIL. Air dry. NEVER leave product submerged under water while not in use. Squirtees: Drain water thoroughly after each use, squeeze the toy until water inside is drained. Air dry and store in a cool dry environment. 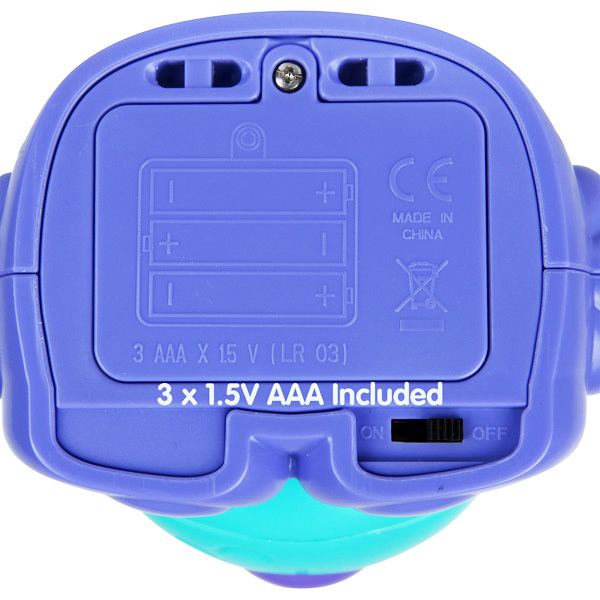 Battery Operated Bath Toys: For the safety of your child and efficient use of this electronic toy, attach the battery casing door securely to the back of this item. Before use in the bath ensure the battery door is sealed completely and is water tight. Always dry this product thoroughly before replacing batteries. Examine product from time to time for signs of wear and damage to electrical parts. Once finished, pat dry with a cloth, leave to air dry. Do not use with bath oils. Please also refer to battery safety information. Adult supervision is recommended when changing batteries. Only use recommended batteries. DO NOT USE RECHARGABLE BATTERIES. Batteries are to be inserted with the correct polarity. Do not mix old and new batteries. Do not mix alkaline or standard batteries. Do not attempt to charge non-rechargeable batteries. Do not dispose of batteries in fire, as batteries may explode or leak. Dispose of batteries safely and correctly. Remove batteries if the toy will not be used for a long period of time. The supply terminals are not to be short-circuited. Exhausted batteries should be removed from the toy.